In addition to our high-speed prototyping services, Jade Tool also specializes in providing quick turn-around high-volume production runs. 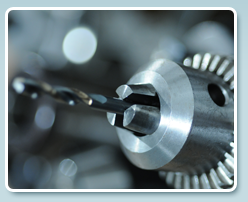 We are experts at doing extremely delicate machining on all typical production materials, and are known for our ability to hold especially tight tolerances on machined plastic and aluminum parts. Jade Tool’s range of high-volume production services also includes the use of special probes and probe shoes, in addition to specialized lens-holding applications. Located near Wright Patterson AFB, Jade Tool has done a great deal of tight tolerance defense contract work over the years. We are very comfortable working with the specialized production requirements associated with military and government projects, and stand behind the machined accuracy of our work 100%.